The study evaluates the nursing practice and how it relates with provision of care to a person suffering from dementia as per the areas of priority subjected to delegation by the Government of Australia as the National priority areas (NHPAS), according to their disease burden contribution in the nation. The scope of the study takes its departure through an introduction about dementia as a disease, continue by giving its overall burden globally, and finishes by narrowing to Australia as the area of study. After the introduction, it focuses on the role that evidence based practice plays in clinical decision making generally and specifically in dementia related matters. The PICO strategy is used to develop a searchable question, under which searching and discussion of related literature takes place. The essay ends in a conclusion which summarizes the major findings got from the articles. Dementia is a condition, which diminishes the cognitive ability that is very severe to interface the day to day life of an individualIt is not a specific disorder but a term that represents a combination symptoms associated with diminished memory any other severe cognitive ability that undermines the capability of a person to perform activities of daily living. Alternatively, dementia can be defined as a syndrome led by a chronic or progressive brain disease featured by disturbed higher cortical function. These function include, thinking, comprehension, orientation, memory, learning capacity, judgment, language as well as calculations. Without the clouding of a person’s consciousness, the impaired mental functioning is associated with emotional control deterioration, motivation and social work behavior. Alzheimer’s disease (AD) is one of the common form of the disorder and a good example of the condition is memory loss. Approximately, 60-70% cases globally result from the Alzheimer’s disease dementia, with vascular dementia and dementia with Lewy bodies being the consecutive causes. Though not a normal feature of the ageing process, the condition majorly affects the aged persons. Individuals over the age of 60 years is estimated to reach an overwhelming figure of 2 billion by the year 2050, thus reflecting a proportional increase in the situation. In the year 2011, the total number of persons suffering from the disease was 35.6 billion and is projected to increase to 115.4 billion by the year 2050. In Australia the dementia patients are approximated to be over 400, 000 with an approximate of 1.2 million persons who care for the dementia patients in the country. Researchers have reported an expected rise of these patients with dementia to 1 million by 2056. The former American president Barack Obama, in regard to the dementia disease on elderly persons was quoted saying, “Alzheimer’s disease burdens an increasing number of our nation’s elders and their families and it is essential that we confront the challenge it pose to our public health”. Among the persons aged 65 years and above, dementia is the leading cause of disability. It is the second in leading deaths and also its rankled third as a disability burden. The global marketing cost of dementia recorded a rise of up to 604 billion and also the medical cost of providing care to dementia patient’s accounts for 16% of the worldwide cost. Additionally, despite so many therapies done by specialists, there is no any cure foe dementia syndrome that exists. Nowadays, the interventions that exists involve ways of improving the quality of life for the patients using optimal management of the health status of the patients. To provide care for patients with dementia, practitioners have used the existing evidences to develop caring plans. More so, the use of Evidence Based Practice, which is an approach of care that focuses on use of the best available evidences, and their critical use and application to the individuals care plan in clinical practice. In a nut shell, Evidence Based Research, incorporates a critical sourcing and evaluation of existing evidences like clinical guidelines, research papers, individual’s professional experience in clinical practice, as well as needs of the patient and the clinical values that apply in maintaining the clinical health status of the patient.In dementia issues, EBP play an important role in equipping health practitioners with various care strategies, their evaluation as well as care plan development putting into consideration the patient’s preferences and the available clinical interventions. Continuous research and investigations are ongoing globally to counter the increasing rates of dementia with solutions. Intervention strategies are nowadays published in journals and other media concerning the intervention strategies applicable. It’s the role of the clinical practitioner offering care to a dementia patient to employ EBP in their care practices. Health care professionals evaluate the reliability and validity of various research findings in relation to the health of their patients and apply them in their client’s needs. The PICO criteria used in the creation of this question is; the Population (P), involving the patients of dementia and the care givers, the Intervention (I) being the psychological intervention like, cognitive behavioral therapy. The comparison aspect is not available for this study. The outcome (O), is stress management as well as psychological disturbance among Dementia care givers. Literature searching involved online databases such as Cochrane, PubMed, CINAHL, as well as MEDLINE. These are the best online sources for the study in nursing and health field, and they are rich in qualitative evidence sources (Lam and Mc Diarmid, 2016). The parameters used during the search for information included the advanced search option, limitation of the search to articles published between the years 2008-2018. Key words such as dementias, caregivers, non-pharmacological interventions, and systematize review were used. I also used Booleans Operators which include, “AND”, “Not” and “OR” for combining the key terms and obtaining relevant result. According to Brown (2013), I have made selection of five literature ranked as level, 1, 2 or 3 EBP. All of them contain systematic revie evidences, form relevant fields. “Cognitive Behavioral Therapy for Depression, Anxiety and Stress in Caregivers of Dementia Patients: A Systematic Review and Meta-Analysis”. The article is a meta-analysis and systematic review that done by Hopkinson et al., (2018) which evaluates the cognitive behavioral therapy for Depression (CBT), as well as Anxiety and Stress Dementia for Care givers. Two independent reviewers evaluated a total of 25 studies involved in the study. The Meta-analysis focused on assessment of the usability of the interventions in depression anxiety, and alleviation of stress. The conclusion finding of the study was that a small but significant alleviation of the depression, anxiety and stress in dementia care givers existed. The article entitled “Effectiveness of Cognitive Behavioral Therapy for Caregivers of People with Dementia: A Systematic Review and Meta-Analysis”. It involved a systematic review including randomized trials evaluating the how cognitive behavior therapy was important to dementia careers (Kwon et al., 2017). Screening of 263 articles was done and incorporated with 12 randomized trials. A statically analysis as well as a meta-analysis got performed for the study for the heterogeneity of the participants of the study. The study found that CBT is an effective intervention tool useful in down warding emotional challenges among caregivers of dementia. It includes a systematic review with meta-analysis for the selected outcome measures from the extracted random controlled trials. The researchers reviewed pure TB-CBT trials that led to the inclusion of 2 trials that were randomized and two controls that were waitlists (Scott et al., 2016). The conclusion of the study was that pure TB-CBT is an effective and economical intervention to the delivery of psychological interventions to the care givers to dementia patients. “Effectiveness of Supporting Informal Caregivers of People with Dementia: A systematic Review of Randomized and Non-Randomized Controlled Trials”. According to Vandepitte et al., (2016) the article is a in a systematic review format that focuses on providing evidences concerning to the effectiveness of various supportive interventions. The assessment include a total of 53 studies which follow the exclusion of the irrelevant studies by the author. The focus of the researcher on bias elimination and eligibility of the research articles led to the elimination. The study found that other than the inconsistency in methodological aspect, supportive interventions focusing on the carers and the [patients, there is need for further research on the cost –effectiveness of the respite care. “Cognitive Reframing for Carers of people with Dementia”. According to Vernooij-Dassen et al., (2011) the study involved a systematic review of controlled trails that are randomized. They employed cognitive reframing of the relatives who acted as caregivers in the family level. Both the Cochrane Dementia and Cognitive Improvement Group methodology were employed by the study for the search and identification of the randomized controlled trial. The review generally concludes that cognitive reframing intervention for the care giver is effective when reducing stress and psychological morbidity, not tempering with the carers burden and coping appraisals. On the analysis of the above research articles, all were generally addressing the evidence based articles criteria which is useful for the generation of Evidence Based Research. EBP provides professional and nursing practitioners with the ability to make decisions for improving the patient care and wellbeing of the individual’s suffering from dementia in the clinical setting. A well, nurses in the day to day practice should ensure that they are well equipped with the current evidence based research as well as balance their theoretical knowledge and practice19. Many evidence based researches are evident in the national websites. They are helpful to both the care givers and the patients and focused on the wellbeing of the patients by providing control measures and preventive measures for diseases. 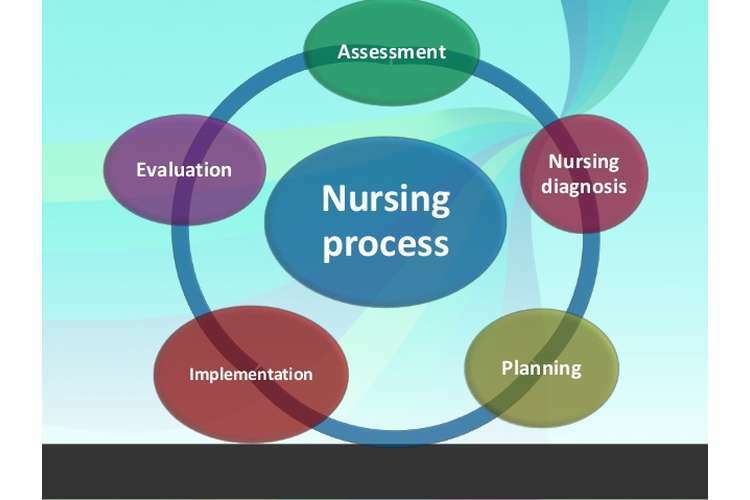 Nurses, play important role in the adapting the recommendation for patient’s care through implementation of the evidence-based practice and delivery of care and treatment based on the latest information available from the systematic research and clinical experiences. There are barriers that prevent the administration of nursing practice. The clinicians, researchers and policy makers as well as administrators create this gaps through unavailability of information, publishing false information about practice for patient care. This is mainly due to communication gap and issues associated with research distribution such as poor finance industry, lack of public awareness and unsupportive political environment (Brower 2017). Limited resources, lack of relevant skills as well as lack of time to explore researches, and lack of confidence while implementing changes undermine the EBP. Others are in line with the research project quality, supportive colleagues, policies and training opportunities for translation of evidence into practice limits the applicability of research into practice(Brower, 017). The assignments aim was to grasp a clear understanding of the impact of research finding on clinical practice. The research focused on Dementia form NHPA. In this study, I used PICO criteria to search relevant articles which provide evidence based research on the selected topic used. The benefit that I gained from this study is that it enabled me to get a proper cognition of research and literature finding skills for my profession. The barriers and gaps that prevent proper implementation of research into the clinical practice. 9.Melnyk, B. M. & Fineout-Overholt, E, (2014). Evidence-based practice in nursing & healthcare: A guide to best practice, 3rd Edition.Philadelphia, PA: Lippincott Williams & Wilkins.